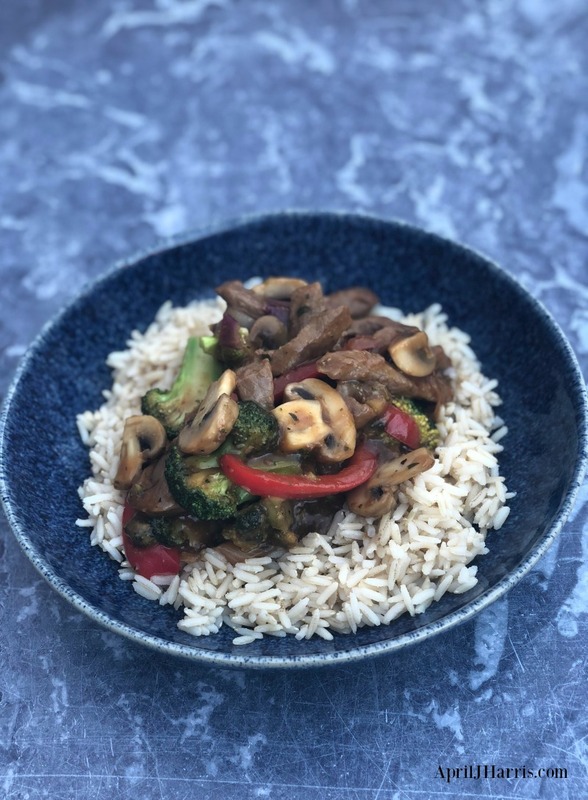 If you love a good stir fry, you will love my Easy Beef and Vegetable Stir Fry Recipe. Wholesome ingredients, richly but mildly spiced, make for a meal the whole family can enjoy. For years I made stir fries with store bought sauces. 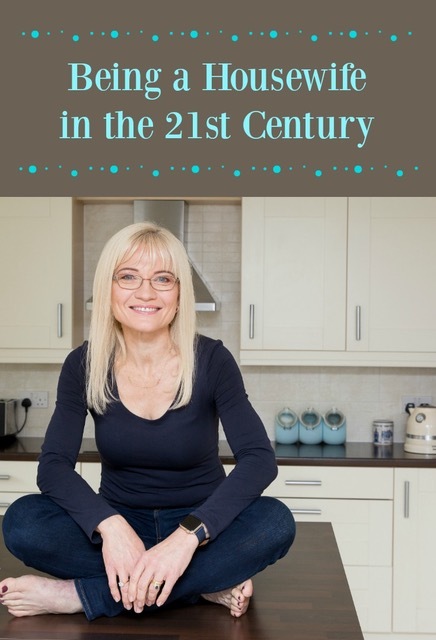 It wasn’t until I started my healthy eating journey that I realised some of them weren’t really very good for us. I don’t count calories, but have you seen how many calories commercially made hoisin sauce has? Some of the ingredient lists on stir fry sauces make for disconcerting reading as well. This sauce contains ingredients that you probably already have on hand, and if you don’t they are really easy to find. The warmly but sweetly spiced sauce is a real winner, with the soy sauce, garlic and fresh ginger being mellowed with sweet sherry and a bit of honey. Need an Alcohol Free Option? Four tablespoons of sherry is not going to give this dish a high alcohol content, and as the sherry is cooked, I have no hesitation in serving it to kids. However, if you need to keep the sauce alcohol-free, you can substitute 2 tablespoons orange juice mixed with 2 tablespoons water for the sherry. It will give a more pronounced orange flavour, but this will keep the sauce spicy sweet. If you prefer to avoid the orange flavour, substitute stock for the sherry and add an extra teaspoon of honey. Either of these variations works well. My Easy Beef and Vegetable Stir Fry comes together really quickly. In fact, it’s can even be faster than ordering take out! You can serve the stir fry with noodles or rice. I use brown rice these days as it’s better for us, although I eat a lot less rice than I used to. It also goes very nicely with a glass of good red wine. 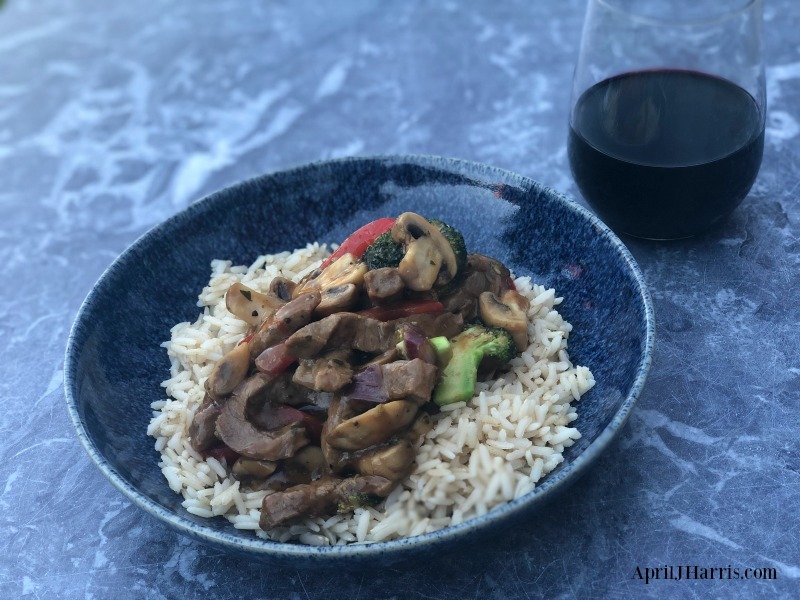 An easy beef and vegetable stir fry with a homemade sauce you will love. Mix the soy sauce, Madeira or sherry, honey, ginger and garlic together in a bowl. Pour half the sauce mixture over the sliced meat in a bowl. Toss together with a fork. Set aside, reserving the remaining marinade. Heat 1 tablespoon of the sesame oil in a large frying pan, skillet or wok over medium-high heat. Add the meat and spread out in a single layer. Allow to cook for one minute before stirring. Then stir fry until nearly cooked. Remove to a clean plate and keep warm. Add the remaining tablespoon of sesame oil to the pan and allow it to come up to temperature. Add the onion to the pan and stir fry for a moment or two before adding the broccoli, red pepper and mushrooms. Stir fry until tender crisp. Return the meat to the pan along with the remaining sauce mixture. Stir fry constantly as you gradually add the stock, bit by bit, allowing it to thicken as you go. You may not need all the stock. Serve on four plates or bowls, over cooked brown rice or noodles. Garnish with flat leaf parsley.